Human Care Air Ambulance services in Delhi were established for a comprehensive medical transport system when we realized that the patient transportation needs were not being met adequately through the existing patient transport service because of a variety of reasons but primarily the ever increasing traffic on roads. In addition to all these benefits of making use of the best air ambulance services in Delhi, air evacuation is of great use at times of tragedies like natural disasters because air aviation can land in an open surface as opposed to ground ambulances that cannot even reach the point of tragedy. Our air rescuers in Delhi very well understand that life is precious and we also know that during a situation of medical emergency, each second in the life of the critical patients is extremely precious. Thus, we are perennially motivated to fulfil our responsibility of saving lives each and every day. We truly believe that time saved is a life saved. We make sure to be quick and responsive and not waste even a minute’s time in providing the top air ambulance services in Delhi. Making use of the most advanced air ambulance aviation in Delhi also works in our favour and hence we are able to transport the patients to the desired or the most convenient hospital in time directly by air. What are the Benefits of Choosing our Human Care AIR Ambulance Company? Our Air Ambulance service is the most proactive and the quickest way of transporting the patients who are in urgent need of prompt and high class medical facilities and treatments. Our Air Ambulance service can also reach those patients stuck at places of tragedy where the accessibility of ground ambulance is next to impossible. Our air ambulance aviation in Delhi is fitted with the most advanced medical equipments to provide temporary sustenance till the patients are transported to the hospitals with the high class medical treatment facilities. 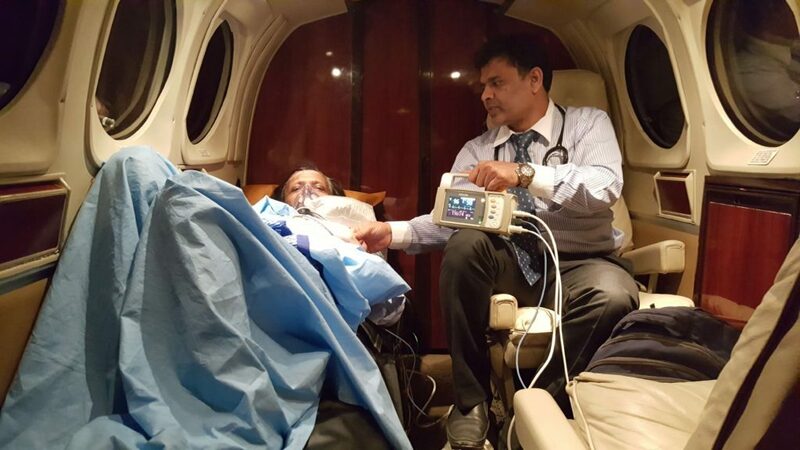 The trained medical staff in air makes sure that the condition of the patient is stabilized through use of the medical arrangements in the air aviation and providing high level of enrooted care till the hospital is reached. To provide a relief to the patients and the families in need of air ambulance services in Delhi, the packages are crafted and customized in such a thoughtful manner covering all the costs within a minimal amount. We want you to entirely focus on improving your health and this vision makes us the provider of the most affordable air ambulance services in Delhi. Our mission is to make sure Air Ambulance is for all. We led the best Emergency and Non emergency air ambulance services in Delhi with a vision to provide the services of highest quality through aero-medical transportation systems and to provide the most compassionate patient care at any time and thus, develop of system of legacy. Our highly skilled and trained air patient transport in Delhi work 7 days a week and 24 hours a day for emergency transfer of patients across the city.